How We Are Working to Control West Nile Virus? The Champaign-Urbana Public Health District (C-UPHD) and the Champaign County Public Health Department (CCPHD) survey mosquito pools and dead birds to detect and monitor the presence of WNV in Champaign County. 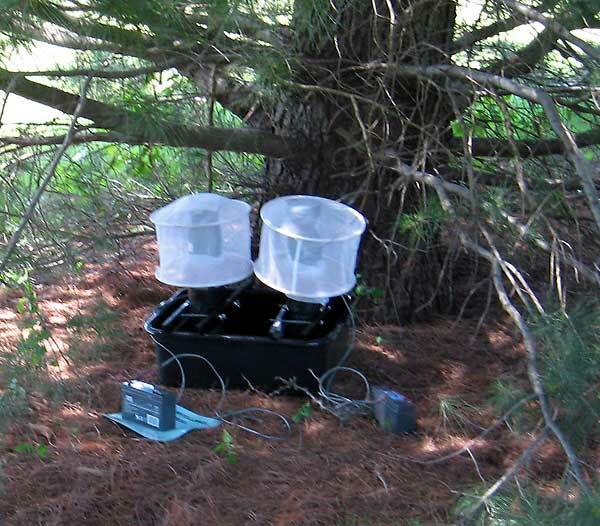 During the months of May through October, mosquitoes are trapped at various sites and are tested to determine if WNV is present and to what extent. Surveillance also includes collecting and submitting dead birds for testing. Birds that are eligible for testing include crows, blue jays, robins, and other perching birds. The birds must be freshly deceased with no apparent cause of death. From May through October, residents who live in Champaign County who observe an eligible bird should contact the health department immediately to determine if a bird is acceptable for testing. If the bird is not acceptable for testing, use gloves or an inverted plastic bag to place the carcass in a garbage bag, which can then be disposed of in your regular trash. If WNV is detected in mosquito or bird populations, the C-UPHD and the CCPHD work with local units of government and the media to inform and educate the public. The C-UPHD contracts with the City of Champaign, the City of Urbana, and the Village of Savoy to provide a mosquito abatement program. Larvicides, which disrupt the life cycle of mosquitoes, are applied to all municipal catch basins that hold standing water. These products are specifically designed to prevent adult mosquito emergence and will not adversely affect humans or mammals. To learn more about WNV and other mosquito-borne diseases, and about prevention methods, contact us at (217) 373-7900 or (217) 363-3269. For West Nile virus statistics statewide, visit the Illinois Department of Public Health website.